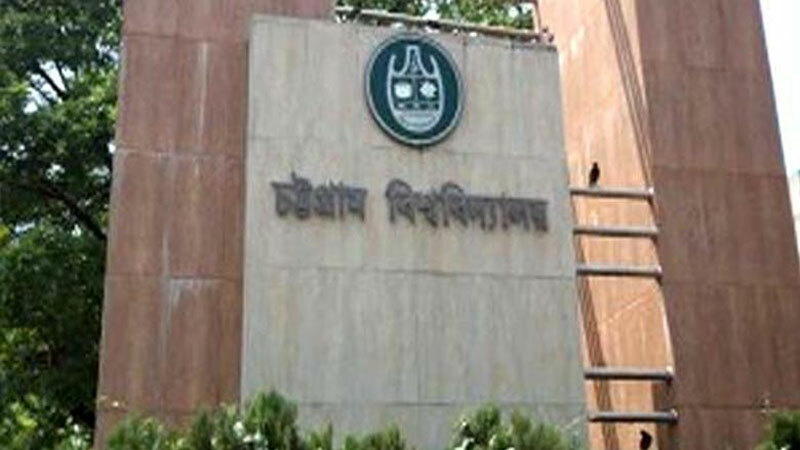 Five students of the Chittagong University (CU) were injured in an attack at a human chain allegedly by the activists of Bangladesh Chhatra League (BCL) in front of Social Sciences Building on the campus on Thursday. The students of the university arranged the human chain in the morning under the banner of ‘General Students’ protesting BCL’s declaring two CU teachers persona non grata. The teachers are – Maidul Islam, an Assistant Professor of Sociology, and Khandakar Ali Ar Raji, an Assistant Professor of Journalism. As soon as the students started the protest in the campus, some alleged members of BCL snatched their banner and launched attack on them leaving five students injured and also foiled the demonstration, said one of the protesters Israt Kawshar. Two of the students were seriously wounded and admitted to the Chittagong Medical College Hospital later, she said. CU Assistant Proctor Liton Misra told UNB that the students did not take permission for staging the protest and the authority was not aware about the attack. On July 17, the leaders of the dissolved CU unit BCL submitted a memorandum to the university Vice Chancellor against the two teachers and declared them persona non grata branding them as ‘agents of Jamaat-Shibir’ for their (the two teachers) posts in Facebook in support of quota reform movement. Earlier in December last year BCL central committee dissolved the committee of its CU unit after keeping the committee suspended for months since factional clashes in May, 2017 between followers of the unit’s president and general secretary.